Does anyone know if the A/C vents were common to any other vehicles? Funny you mention the 3D Printer... that's my next step... it wouldn't be too difficult to make one with a fixed angle to the fins. it'd still rotate up/down, just locked left/right. I could print that in one piece. Super glue works fine on plastic - most of the time. Years ago a fellow Pantera owner shared this product. I've had it on-hand for many years now, and highly recommend it. 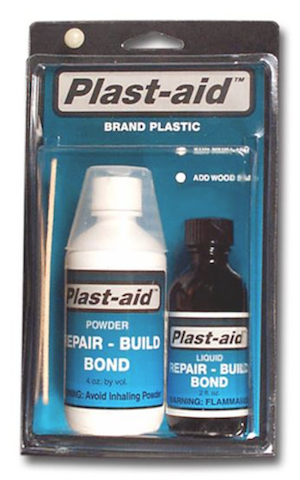 Not really a glue, but perfectly bonds, fully hardens and can be machined. Durable as heck. I've had an under-water pool sweep fitting repaired with it for 4-6 years now. Still solid. Not really a glue for two broken pieces, but for building up lost portions, or reinforcement where size is not critical, a great product. Thanks Larry... I'm always looking for something new to play with, I'll give it a shot! I know 3D printing but my son is an expert at it. Google Evan Kuester for his work. He works for 3D Systems, a company that builds 3D printers capable of printing in virtually any material. Asteroid dust is one of the more exotic materials for space travel. But you can also print in more common materials such as a variety of plastics and very durable nylon. 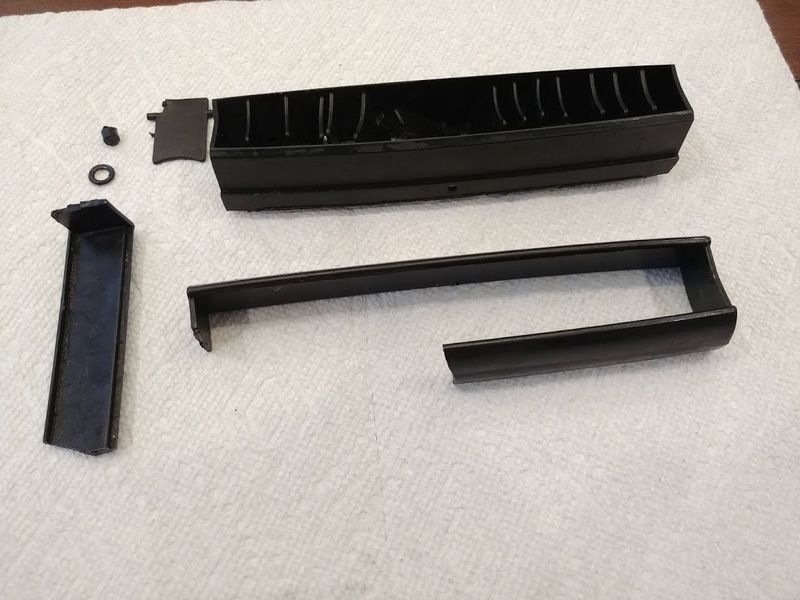 They work with Formula 1 racing to build a variety of disposable car parts, so these vents are easy, and job shops can provide the printing services for you if an accurate electronic model is available. Such a model can be built by starting with a 3D scan of a good original part. The scan can be enhanced electronically if its not completely straight or damaged from age. Even the movable fins could remain movable, all printed in one shot, or separate pieces. The cost per piece is still quite high regardless of who does the printing, but these cars are very valuable now, so cost may not be in issue for some of you. Attached is an image of a prosthetic arm designed, modeled and printed by my son, it made him famous in the industry. You may be amazed by what these printers can do when printable models are available. I can ask him what he needs to build a model for you. Maybe they will work with you, or provide you with sources. I can build the 3D "STL" files for the 3D printing. I can take all the measurements from the pieces that are intact and digitally "correct" them. Most 3D printers (mine included) leave ridges from the individual layers. They can be sanded and painted, but it's extremely time consuming. There are a total of 18 pieces, 14 are identical (fins). The center fin has an extension for adjustment, then there is the rail that tuns them all in unison, the housing the fins sit in and the final drum that all this fits in and ultimately fits into the duct opening. If anyone has something better than a "regular" PLA type printer I'll be happy to post the files when they're done and perhaps we can all help each other out. MH is making a great offer. The ridges he is talking about is the resolution that the printer is capable of. Other printers can print smooth finishes but the costs are higher because the printers are usually more expensive. This is certainly a project 3D printers are meant for. The challenge would be finding a print medium which could stand the temperatures. The average 3D printer could probably render a vent but the product would turn into a puddle in the summer sun. We had one 3D modeling and printing guru at my last place of work. Our machine had 'good' resolution but probably not on par with the current 'best'. Regardless, I think he/it could have produced a decent-looking part (albiet with some texture) that would handle way more heat then the woefully inadequate stock vent material. (iirc the extruder temp setting for PLA plastic we commonly used was something like 180C). 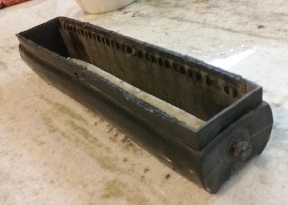 I tried to disassemble a distorted vent today and found that the two large parts illustrated in Mike's photo seemed inseparable w/o breaking something. They probably aren't literally 'fused' together but I realized they could be modelled & printed as a single chunk in the assembled state shown below. Seems like a sensible shortcut but I may be missing something! I agree with Nate, the heat required for melting PLA and ABS is at a minimum 180c / 350f, so I don't think that would be a problem. Besides, how many geese spend much time in the sun unattended these days? I may also try my hand at casting with silicone molds. Messy, but it could produce clean pieces. The center large piece needs to be somewhat flexible to get the fins into place, so combining the two large pieces into one probably wouldn't work well. Fixed fins would allow all pieces to be combined into one though. I am sure there are at least 2-3 owners out there with broken vents, maybe one would sell the missing components (see 8MA766 and 8MA1066, maybe others, Roland just sold a unit last week so maybe that buyer has left over bits. I did 3D printing on dash vents on another car. I do not know what the final plastic/matrix was but I am VERY PLEASED with the results.